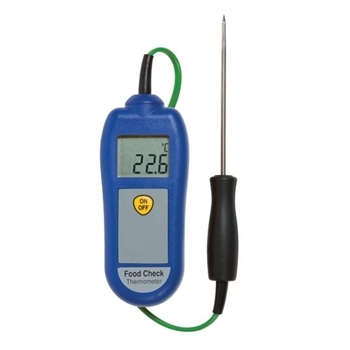 The Food Check thermometer is never more at home then in a professional kitchen as its been designed specifically for the food and catering professional. This thermometers is an economically priced digital thermometer. The Food Check will measure temperature quickly and accurately and can be used as part of your monitoring system for cooked and chilled foods as part of HACCP and health and safety procedures. A large and easy to read thermometer using a LCD display with some nice features like :- open circuit and low battery indication. The thermometer is simple to use as just pressing the on/off switch, Using three high quality AAA batteries can give a upto five years battery life. The Food Check battery life is saved as the unit will power off automatically after ten minutes, maximising battery life. 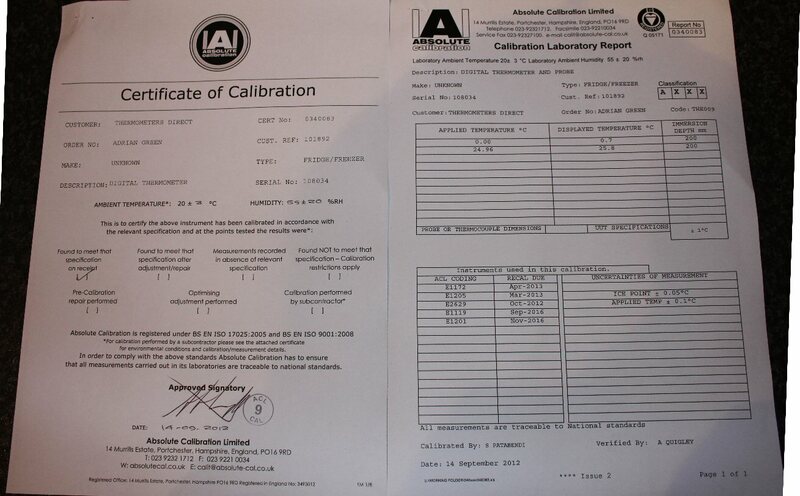 Supplied with a permanently fixed food penetration probe which measures 130mm long and has a pointed stainless steel stem and the cable for the probe is 500mm long and the cable has PVC cover on the lead and is the ideal choice for routine food inspections.